Building automation systems (BAS) are growing in popularity among commercial and industrial property owners and with good reason. 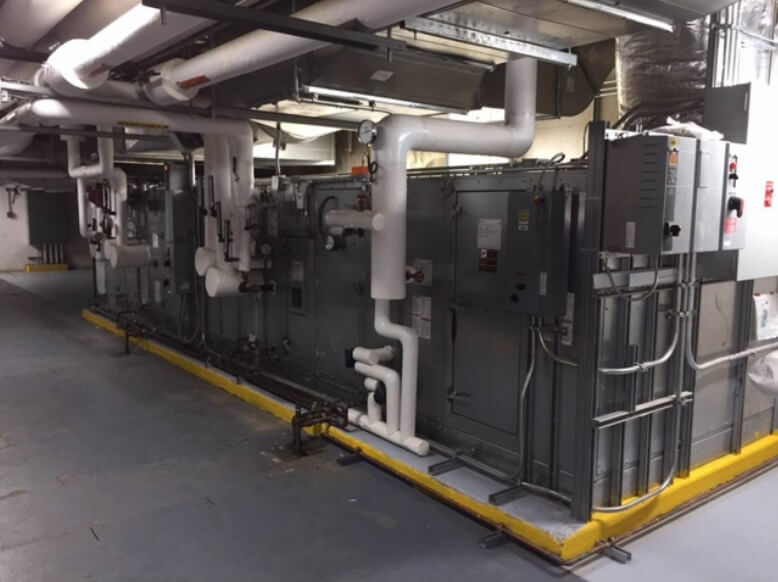 Installing a BAS allows building owners and managers to better understand what’s going on in their facilities and to control equipment such as pumps, chillers, remote terminal units (RTU), and air handling units (AHU) remotely from the field. This, in turn, allows them to take more control over everything from occupant comfort to equipment operation. A building automation system (BAS) is comprised of a network of systems that are designed to manage equipment and optimize energy use. It will provide building owners or managers with essential information about utility use, equipment performance, and more. Having a BAS installed allows those responsible for managing energy and equipment to use and analyze data, observe trends, keep a log of the equipment’s service and operation, and control many aspects of that operation via one user-friendly interface. Modern building automation systems (BAS) link local area networks to field devices via the web. This allows building owners and operators to check the status of their equipment remotely. Readers should look for a company that uses non-proprietary building controllers when installing a new BAS. Having an open protocol system will allow them to take advantage of the many benefits of building automation without being tied down to one particular brand or service. This allows for increased interoperability, data sharing, and improved functionality. Building owners and their employees can benefit from automation in a number of ways. Employees will be offered a higher level of occupant comfort, while owners will appreciate the reductions in operational costs and managers will find that a BAS makes keeping track of energy and equipment use much simpler. The overall effect will dramatically increase operational efficiency. Should anything go wrong with a piece of equipment, the building manager will be notified immediately. The ability to monitor equipment remotely makes it much more likely that any operational inefficiencies will be caught early so that they can be adequately addressed. Plus, building managers can use a BAS to help them determine when to schedule maintenance and repairs. Some BAS services offer more than just installation of building automation systems. They’ll also monitor buildings remotely to look for potential issues and offer both diagnostic services and the assistance required to solve them before they lead to unnecessary downtime. These more advanced services can save readers even more time. Already have a BAS but feel like it’s not performing at optimal levels? It may be time for an upgrade. A BAS can evaluate the building’s equipment, control boards, sensors, thermostats, actuators, and pumps to determine where there is room for improvement. It’s often possible to retrofit older buildings or BAS systems without having to replace them entirely, so don’t hesitate to contact a BAS service for a quote. Everyone from building owners to building managers and their many employees can benefit from upgrading to a BAS. Learn more about building automation services in West Virginia, such as Casto Technical Services, who can set up these systems to get started down the path of increased energy efficiency and improved equipment monitoring.